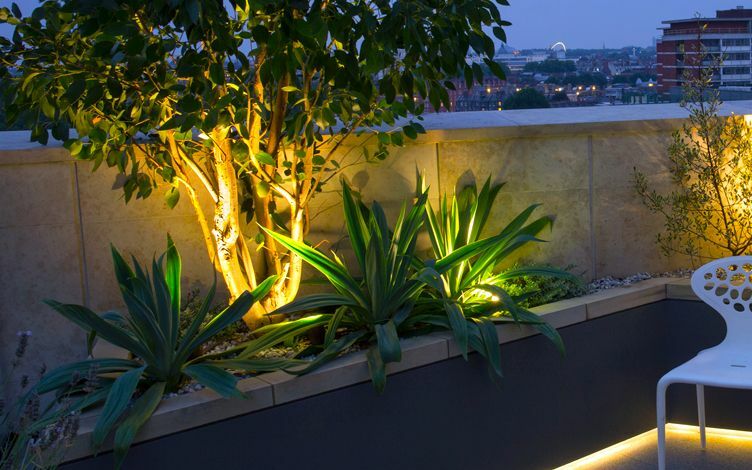 Energetically commencing his 18th year as a leading London roof garden designer, Amir manages highly architectural rooftop projects. 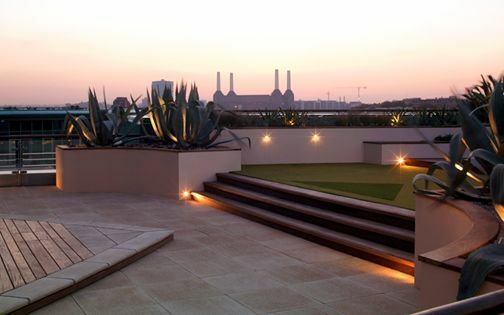 Nattily encompassing refined detail, custom-made planters, sculptural planting, immersive lighting and ergonomic seating, Amir's captivation with London's multicultural diversities, emergent skylines and historic landmarks empowers a unique roof garden design versatility – warmly furthered by a fiercely flexible client-focused approach. 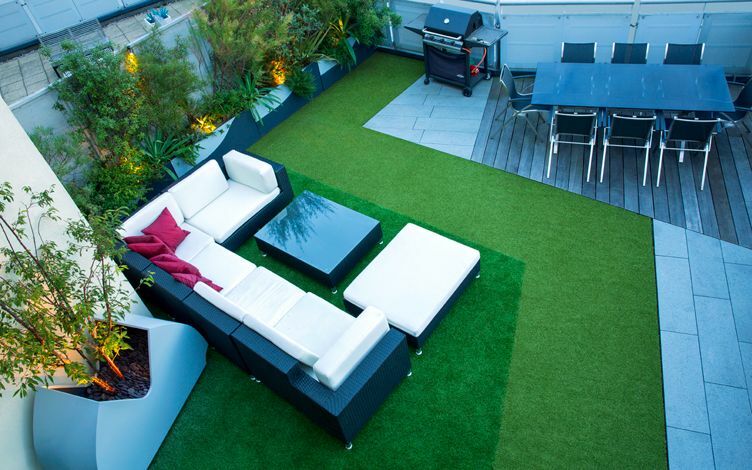 This continual passion, consolidated in design conciseness and horticultural rooftop knowledgeability, manifests itself in every element of a modern roof garden design continuum – embracing specialisation, congruousness and experience – innovatively materialised in the capable hands of an exceptional, and indispensable, rooftop design & build crew! 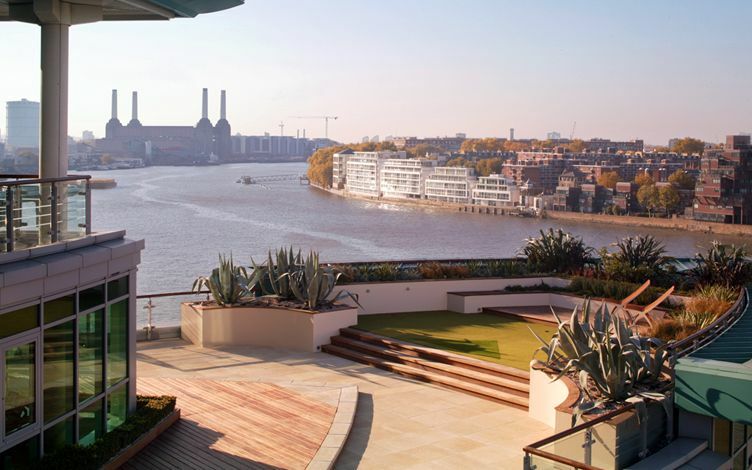 Mid-height vantage points: iconic London landmark views. 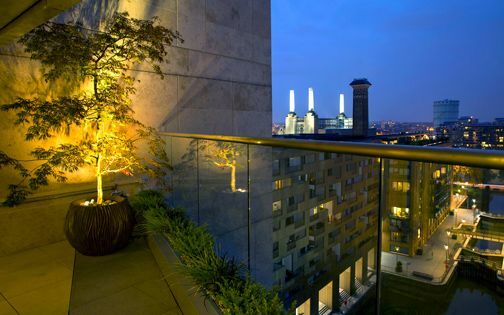 Ideally clad in blue sky, leafy trees and memorable landmarks, even though often unfavourably engulfed in thick smog, traffic and glaring windows, London roof gardens gourmandise their fair share of vistaed bonnes bouches in the upper metro reaches. This divergent hybridity, pendulating from spectacular to spectacle, depending which way the architectural wind blows or rather the keen south-westerlies, rewrites its storyline quotidianly, punctuated with cringeworthy curiosities and occasional epic triumphs, amid the powwows of scaffolding rites and tower crane lights, as Dubai-on-Thames breathlessly aspires to keep up with its easterly Joneses and lodge a fast-expanding population. 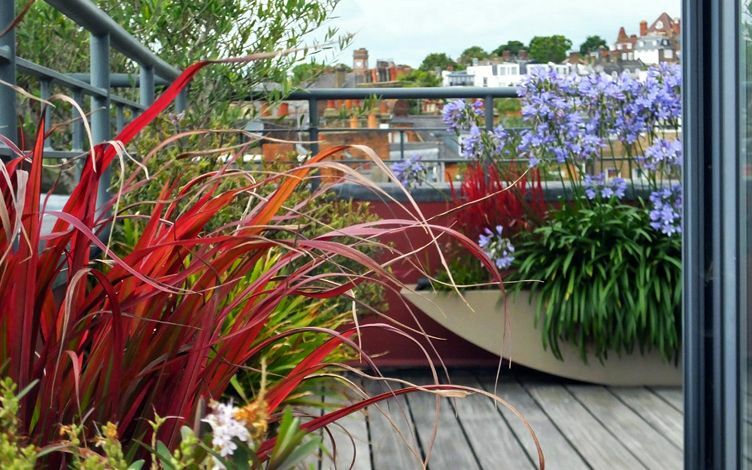 Branched, foliaged and petalled: vitalising roof garden floras. 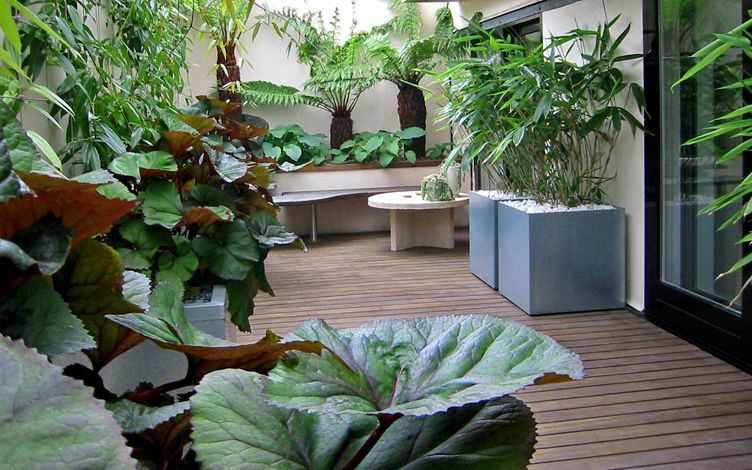 Attitudinally polarized between foliage minimalists and cultivar collectors, roof terrace planting impels an artistic duologue among altitudinous and low-lying gardening methods, as well as a front-line ecological discourse amid congenital scepticism and converted belief. 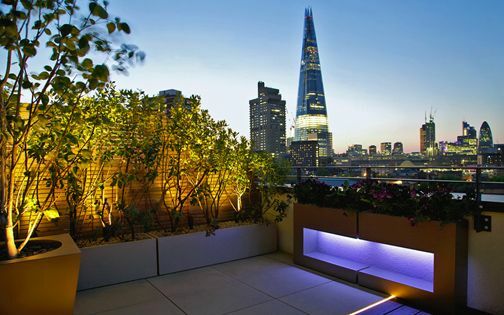 Relocating to dizzying urban heights favours many floras, way beyond conventional horticultural wisdom, witnessed firsthand in every single London rooftop project we plant out, revisit and chronicle. 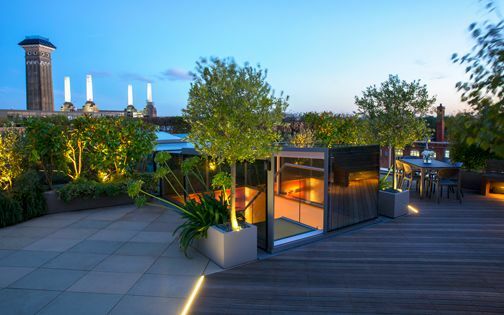 While wind whirls hinder the performance of only the gentlest of latifolius plant species, we integrate and cultivate every imaginable vegetation type to box-office roof garden glory, cinematically perched high above the London treeline; well-drained, irrigated and basking in natural light. 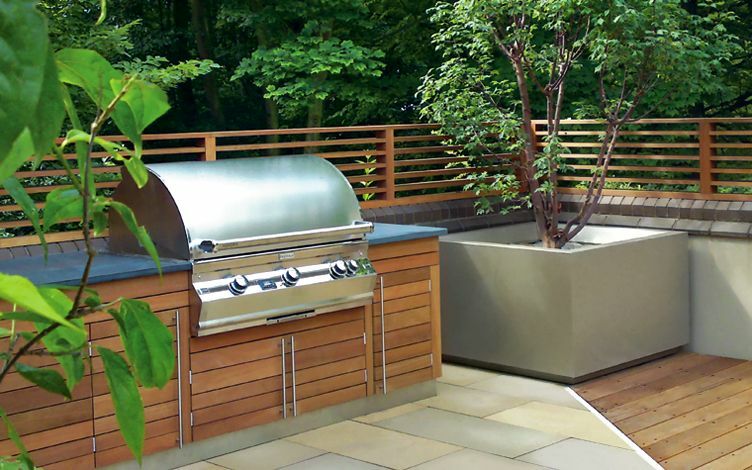 Unlike most of us metropolitan bipeds, plant life diversity, gathered from every habitat worldwide, suffers pollution, drought and UV rays gladly, enabling the creation of eco-friendly roof gardens as bionomic juste milieus in championing all creatures great and small. 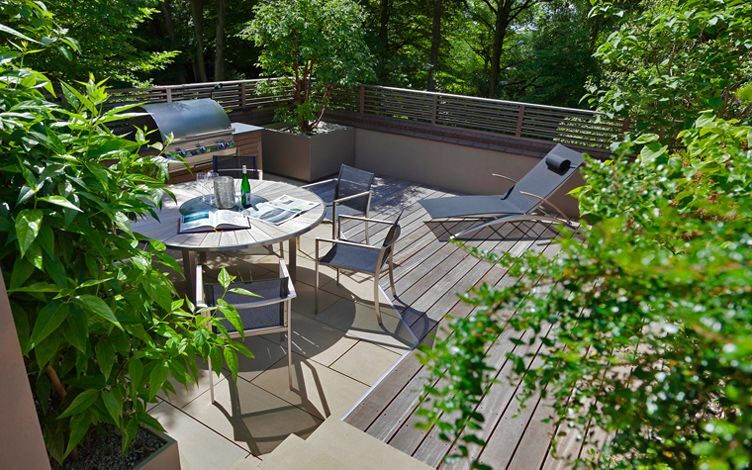 With fluid connections, organic processes and multidisciplinary craftsmanship, this conservational proactivity promotes not only the crucial rootage, cross-pollination and offshoots for environmental stability, but also a verdant interlayer which merges townscapes with concrete bergs and our clients' contemporary homes into indoor-outdoor rooftops. 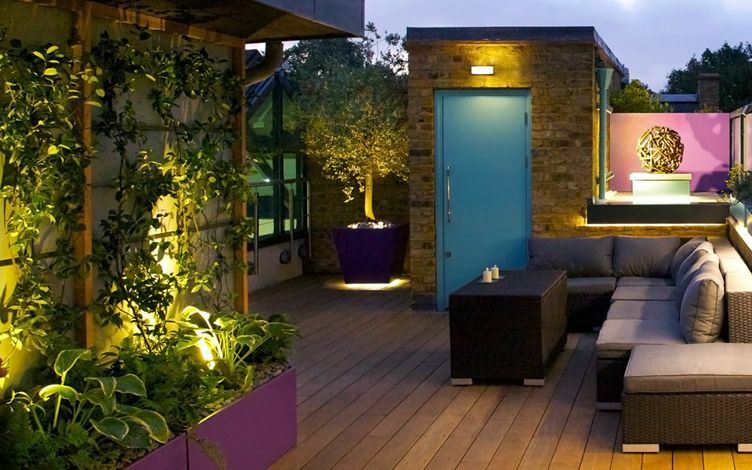 Roof garden social hubs – accessive, connected, facilitative. 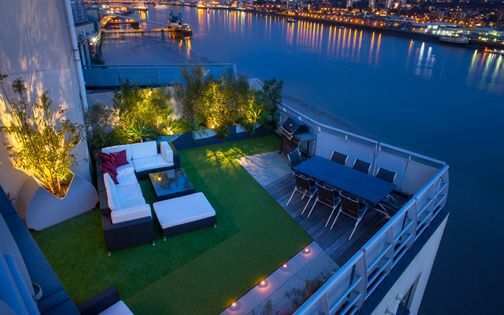 Which liveability aspect motivates every rooftop owner and London roof garden designer the most? 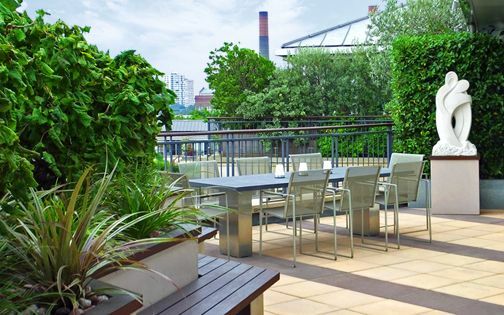 Inspirationally backdropped, sociably integrative and usably hard-surfaced, roof garden seating areas entail tactical combinations of proportional coverage, close-by convenience and foliar stimulation. 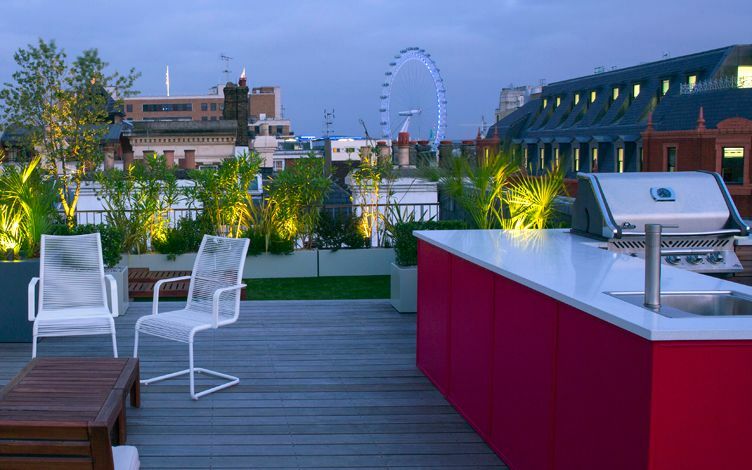 Rooftop outdoor hubs require one the simplest design principles, dually focused on optimal vantage points towards the landscape and indoors – amply maximised, humanised, sheltered and personalised. 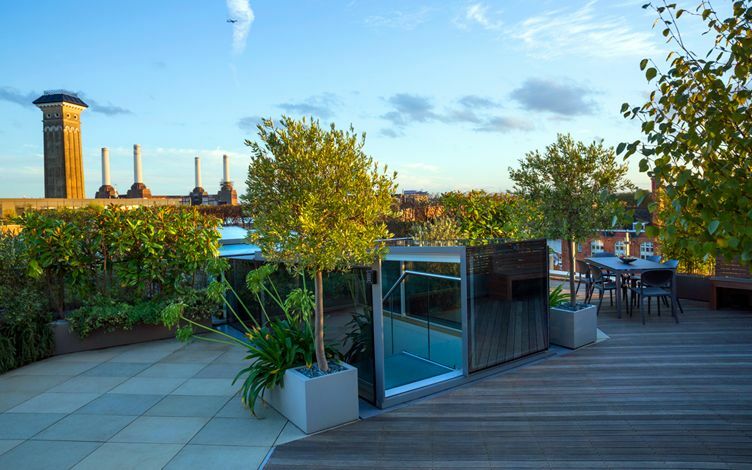 Western sunsets, intimate seclusion, architectural vistas and scenic panoramas steer alfresco roof terrace design, when sun, wind and intrusive eyes are functionally kept at aerial bay. 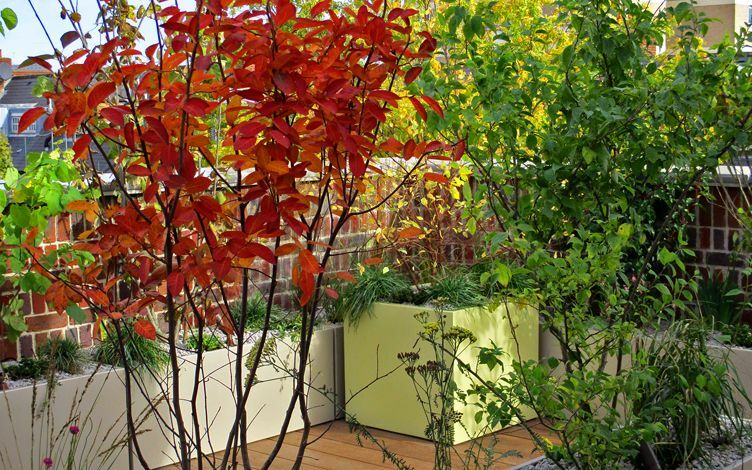 Sculptured containers: custom-designed roof garden planters. 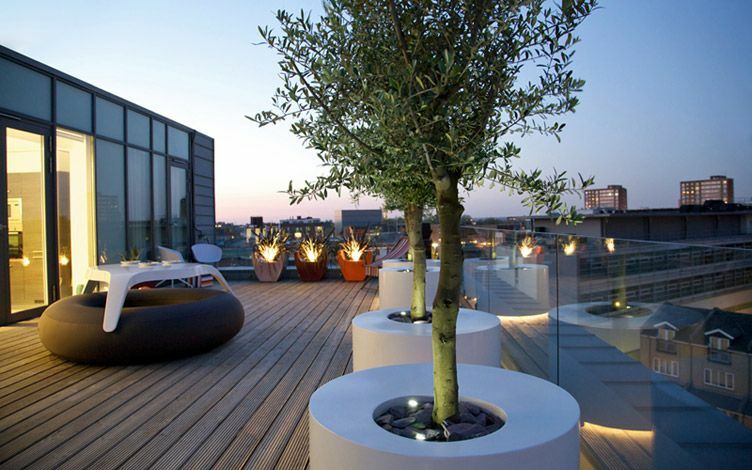 Where would a London roof garden designer be without custom-made, contemporary rooftop planters? 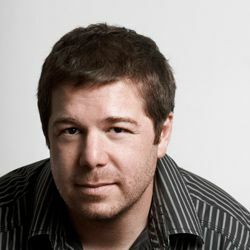 Bogged down in bog-standard, off-the-shelf banality no doubt! 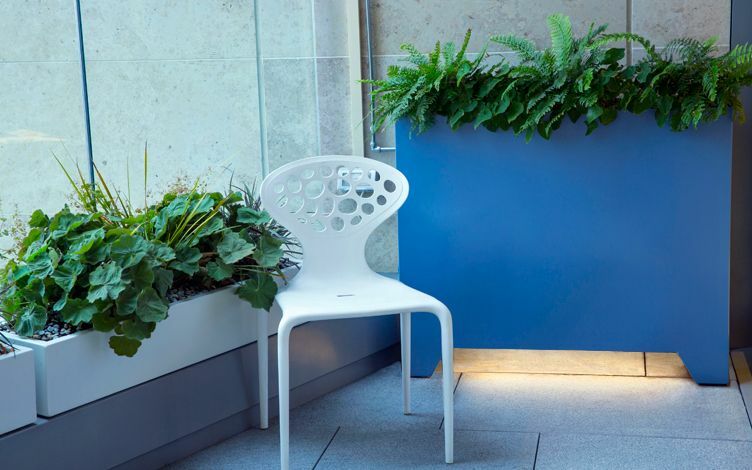 Tiered, nuanced and well-fitted, these structural requisites supply copious sumptuousness for plant growth, while purveying coordinated eye candy for connoisseur owners, when compost, charm and niched capacity top off aesthetic flexibility. 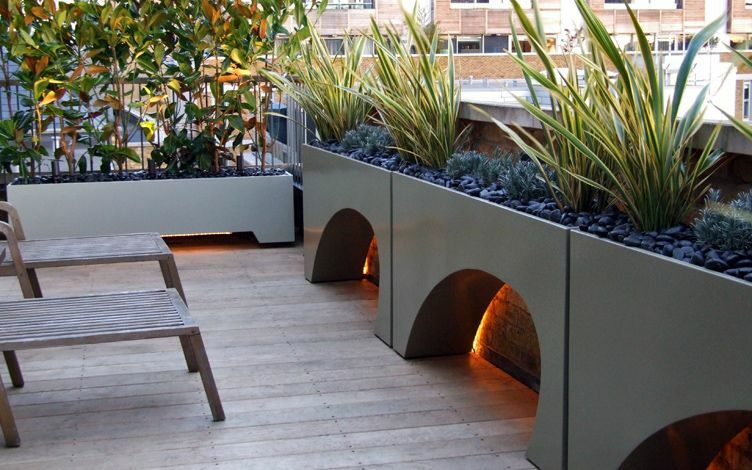 Well-measured, both dimensionally and stylistically, roof garden planters generate the vital containerised focal points we rely on for sculpted spatial emphasis. 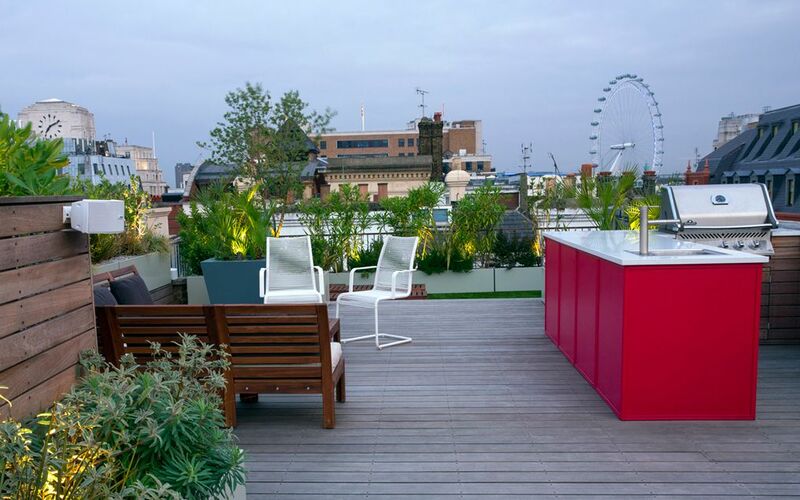 With each planter distinctly conceived, detailedly fabricated and complementarily finished in powder-coated palettes, we achieve architectural homogeneity fit for roof garden purpose.